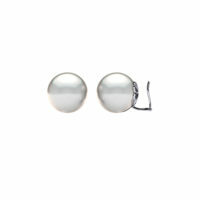 An Everyday Essentials Akoya Pearl strand by Mikimoto. 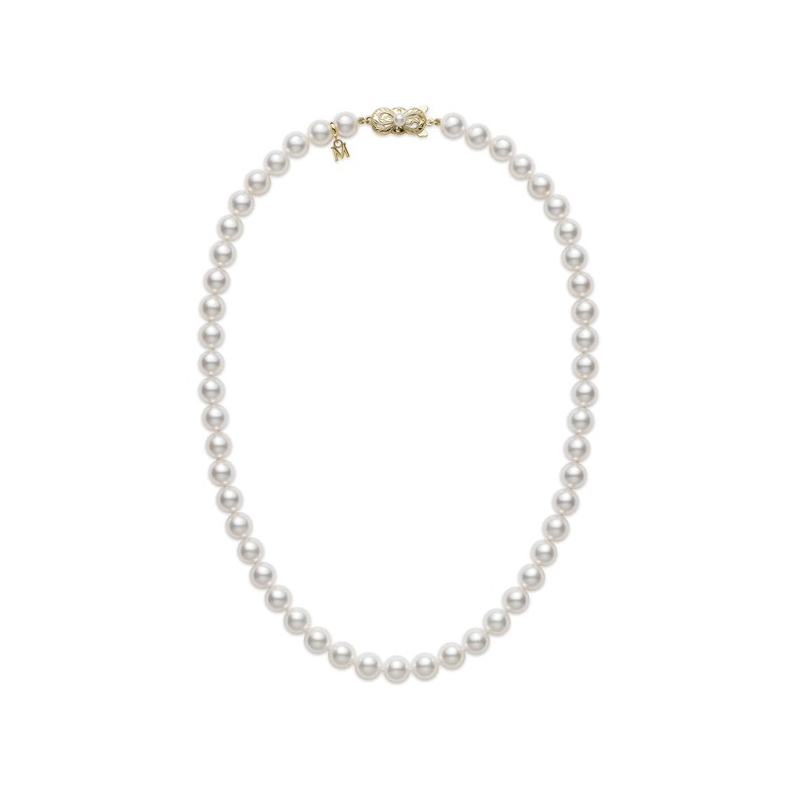 This 16-inch strand of Akoya Pearls is quality grade A1 and 7.5 x 8.0mm. The clasp is constructed of 18K yellow gold. 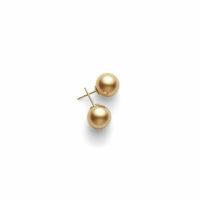 Over a century ago, Kokichi Mikimoto succeeded in creating the world's first cultured pearl. His quest for perfection and his love for these pure, lustrous gems of the sea were the guiding forces that built the house of Mikimoto. 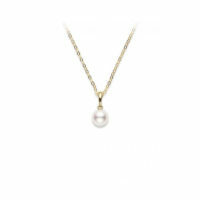 The Mikimoto name is synonymous with superior quality at every stage. Each beautiful piece reflects supreme dedication, passion and care. 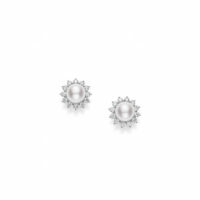 For today's connoisseur of fine jewelry, Mikimoto combines timeless elegance with sophisticated, modern design. To own Mikimoto is a unique and luxurious pleasure. To wear Mikimoto is to reflect the purity of the ocean... the mystery of creation... and to know you are adorned with the finest cultured pearls in the world.